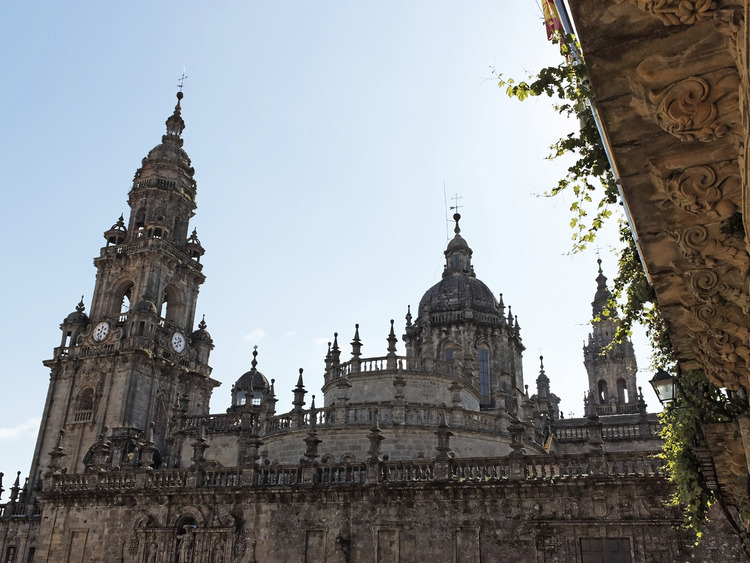 We leave the port by coach and set off towards Santiago de Compostela, one of the most famous and popular religious centres of Christianity and a pilgrimage destination since the Middle Ages. Santiago, situated on a hill, is a town that emanates history, with the narrow streets of the old town, quiet porticoes and many small squares; it boasts many beautiful and important monuments and is home to an ancient university and seat of an archbishopric. We begin our tour of the city's most interesting attractions on foot, starting from Plaza del Obradoiro, the main square of the old town where the magnificent Cathedral is located. We enter the maze of Medieval streets and we come to the old Fonseca University, we then proceed to Plaza de las Platerías, the square to the south of the Cathedral, which owes its name to the silversmiths' workshops (platerías means silversmiths in Spanish) which occupied the ground floor porticoes of the cloister in Medieval times and which have now been replaced by souvenir shops. The square is dominated by the only remaining Romanesque façade of the Cathedral. We then walk to Plaza de la Quintana, dominated by the east façade of the Cathedral. This square, the second largest in the historic centre of the city, is the ideal place to sit at one of the tables of the many bars and restaurants, the so-called terrazas and have a drink or enjoy one of the many free concerts or performances. We then proceed to the Monastery of San Pelayo, a lateral wall of which runs alongside Plaza de la Quintana, and then on to Plaza Azabachería, where we admire the Neoclassical Baroque north façade of the Cathedral which features a statue of St. James as a pilgrim. Our walk then takes us in front of the Monastery of San Martín Pinario, the second largest religious building in Santiago after the Cathedral. The highlight of the excursion is the visit to the magnificent Cathedral, one of the most important Catholic sanctuaries and the burial place of the Apostle Saint James the Greater, patron saint of Spain and Christian martyr. After stopping for lunch at the Hostal de los Reyes Católicos, we set off by coach towards La Coruña. The Cathedral is undergoing restoration, so there will be no religious celebrations, but only the visit.